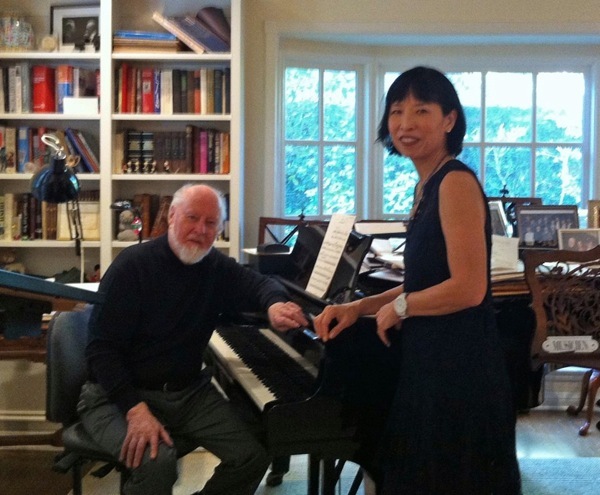 On November 12, Grammy-winning pianist Gloria Cheng premiered the third and fourth movements of “Conversations”, a concert piece for piano solo written by John Williams in 2012. 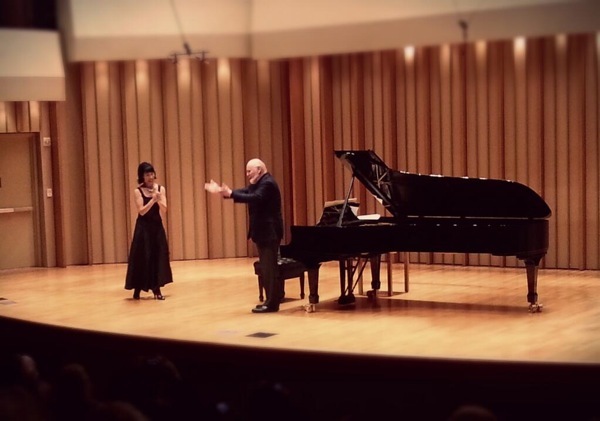 The first two movements had been performed by Cheng at Tanglewood (August 10, 2012) and the Mendocino Music Festival in California (July 22, 2013). 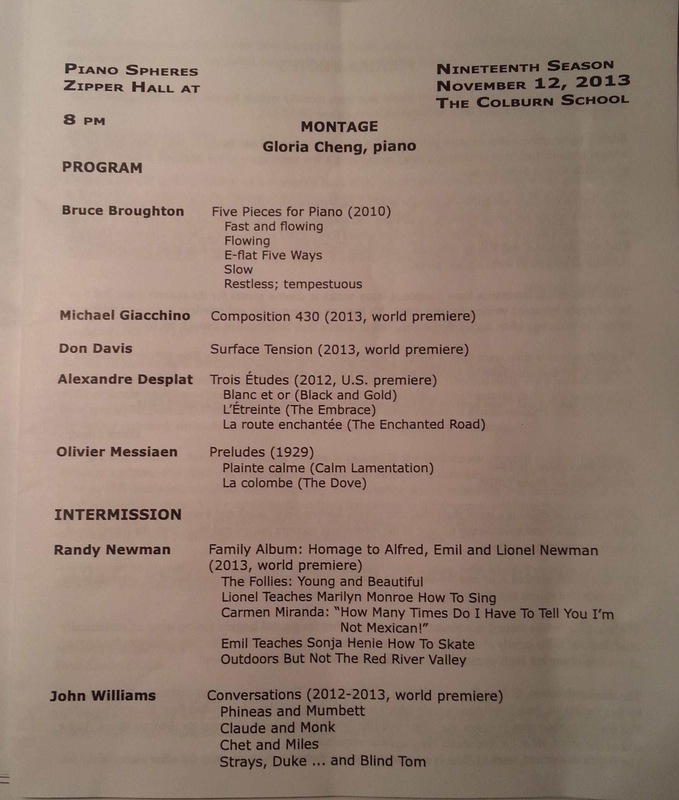 The four-movement chamber piece premiered at the Piano Spheres recital in Los Angeles, a solo piano series whose mission is committed to introduce major new works for the piano, along with original works by Bruce Broughton, Don Davis, Alexandre Desplat, Michael Giacchino, Randy Newman, and Olivier Messiaen. I’ve always wanted to write something for Gloria Cheng. I originally intended to write a series of “water pieces” for her, but I got distracted. Instead, while at Tanglewood… and for no reason that I can explain… I began to think of what a conversation might be like between the great jazz pianist Phineas Newborn, Jr. and Elizabeth Freeman, known as Mumbett, a resident of western Massachusetts and a former slave who sued the state of Massachusetts in 1781 for her freedom… and she won! 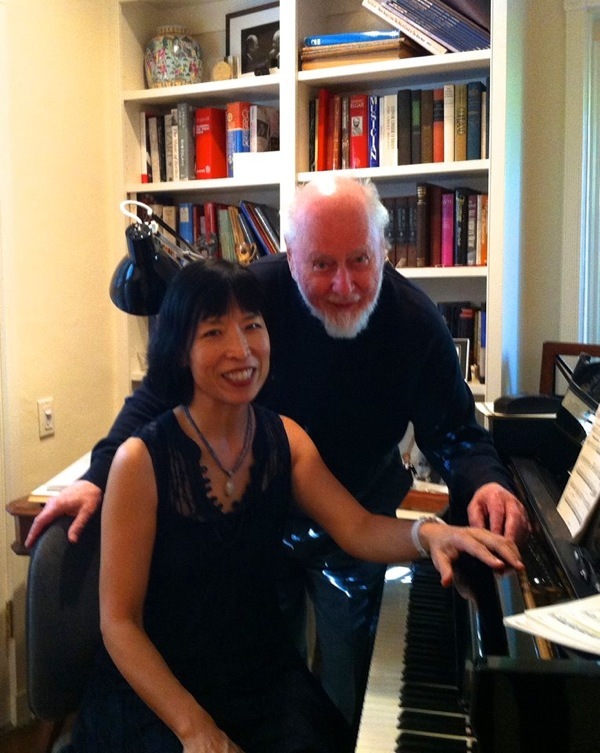 Two strong personalities, one pianistic and the other most surely vocal and hymnal… meet for a chat. I imagined them having their conversation near the Sedgwick Pie in Stockbridge, Massachusetts: Visit it, if you can. Next came Claude and Monk. Not the Claude you might think I mean, but Claude Thornhill… a seminal figure in jazz history, principally remembered for his mentoring of Gil Evans. 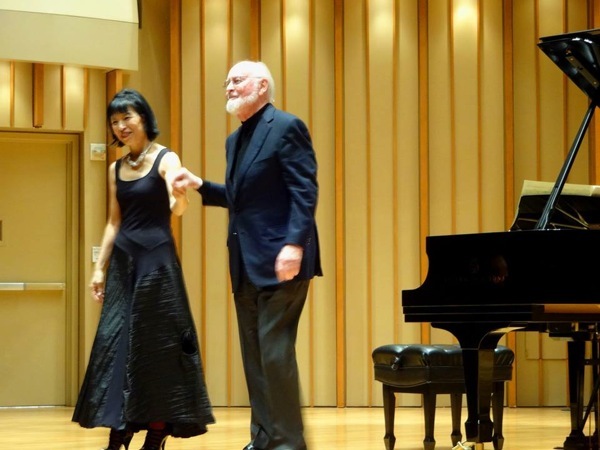 Thornhill, who loved Debussy, and who I knew during my childhood, understood the sea change in piano sonorities discovered by Debussy, and those equally radical ones invented by Thelonious Monk. It’s delicious to imagine an exchange between these two giants. Chet Baker and Miles Davis possessed markedly opposing personalities, however they did have much in common. 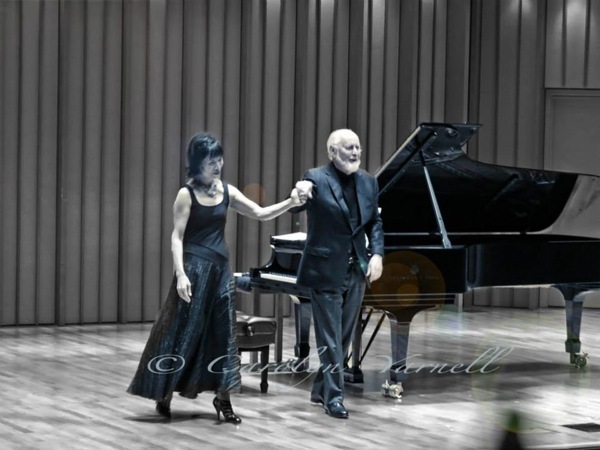 They both eschewed bravura and needless display, and always revealed their art with the barest minimum of fuss. They could be brief and often quiet, but their message was invariably brought forth with great force and power. Finallt, “Strays” (Billy Strayhorn), Duke (that one, of course…) and Blind Tom, another former slave and somewhat forgotten 19th-Century figure in American pianistic history… here gather to unravel the secrets surrounding the birth of “stride”. And dear listener/reader, if you’re still with us… don’t listen tooo intently to identify the voices named within. Theirs will remain inimitable and incomparable. However, that we might be permitted to overhear these luminaries chatting in some undiscovered time zone… unrestrained by such things as clefs and bar lines… is a notion that is indeed enciting, and I hope that these minor musings might, in some small way, be worthy of the memory of these notable antecedents of ours.